kissing loving living: What's inside your favourite bag? So because I can't tell you anything new, I decided to do another meme. 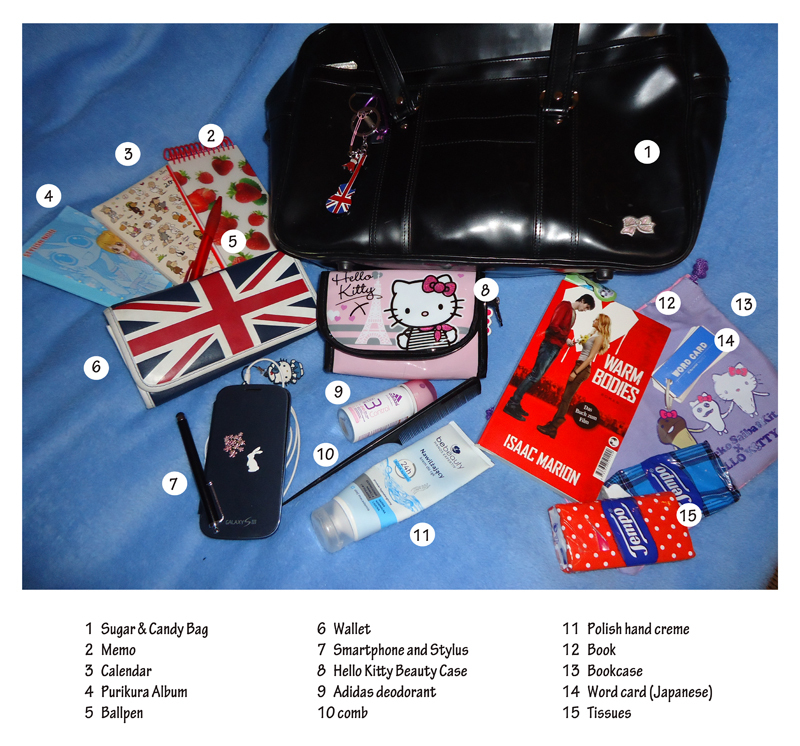 My favourite bag since almost three years is my black Sugar & Candy schoolbag. I bought it when I went to university and since when it was always soo helpful for studying, school now and for free time activities.